Home » Bike Reviews, News & More » Classic Bike Surge at Motorcycle Live 2018! 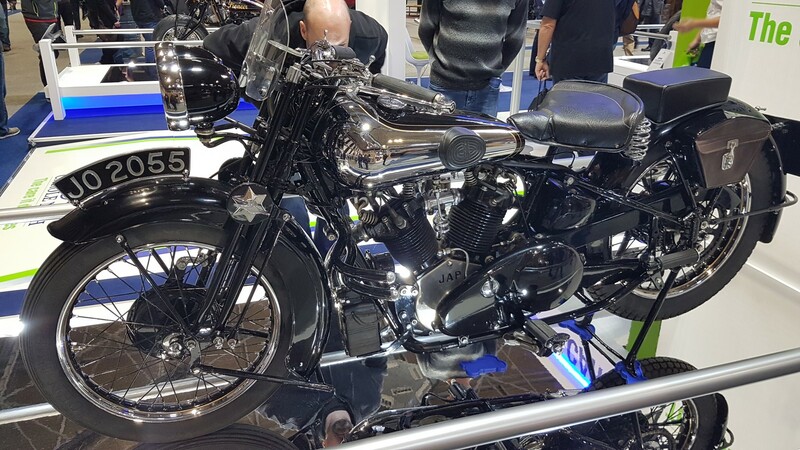 Wherever you looked at Motorcycle Live 2018, there was classic bike examples on almost all of the major (and minor) manufacturers stands! Although the show itself didn’t seem as large compared with earlier years, maybe we’re all suffering the Brexit effect and no one is spending in the UK!? Take your money to Europe…! 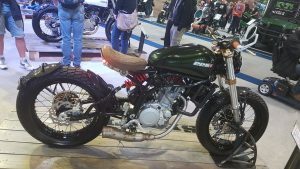 This is one of 6 replica TR750’s, this being the first. 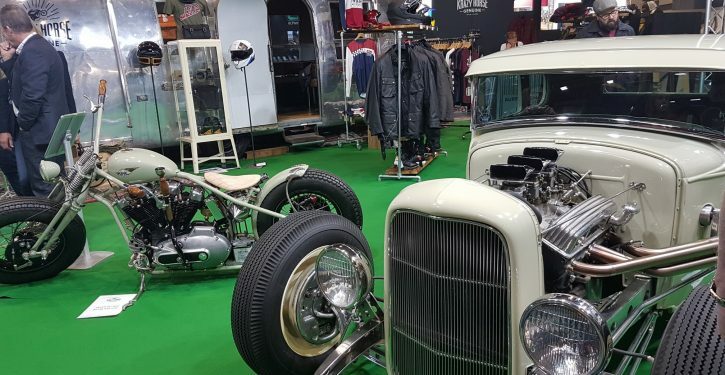 They are for sale ranging from £30,000 to £35,000 depending on specification. This bike is fitted with an original factory TR750 engine. 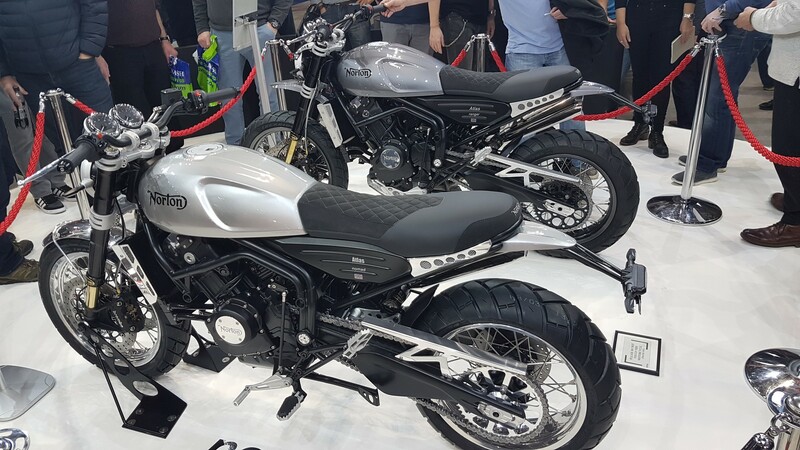 The CCM stand were making lots of noise, a very professional looking stand and recommendations by Carl Fogarty and Neil Hodgson, the bikes DO look very cool but, being a single cylinder, they are only knocking out about 55bhp. Despite this and the near £10k price tag they were attracting plenty of attention. 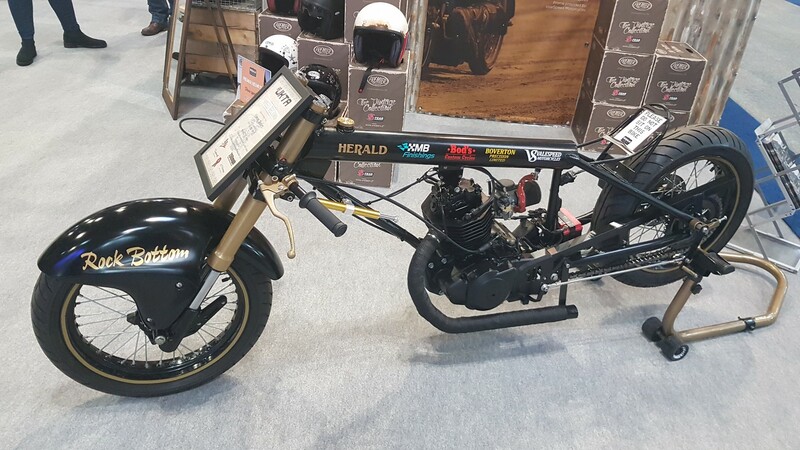 Inspired by the race track, built for the road, Herald’s take on the street tracker has been engineered and build from the ground up, all within the United Kingdom. Price and availability are yet to be confirmed. A stunning modern classic for the ageing audience! Not wishing to scare the potential buyers off just yet no price has been announced, it will obviously be very reasonably priced as there are over 80 accessories and two inspiration kits to choose from! Everyone’s talking about it, but not necessarily in a positive way! In 1981 Suzuki GB launched the GSX1000SZ Katana, of which only around 166 were imported to homologate for racing. 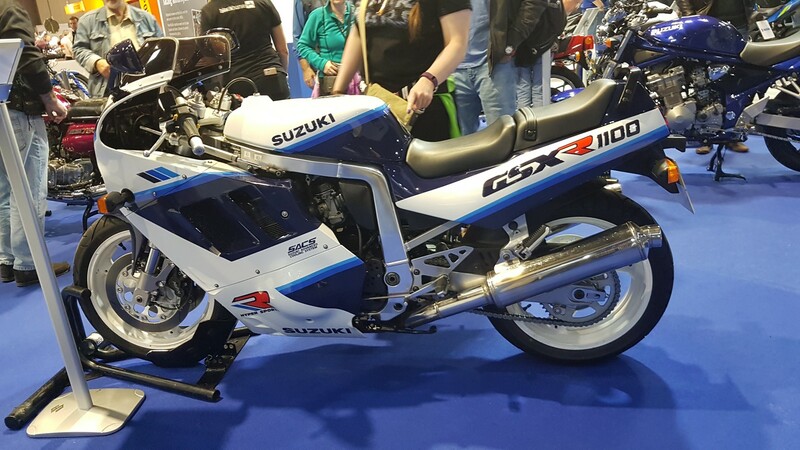 At the end of 1981 the GSX1100S Katana was launched in the UK and with it, its futuristic styling was a huge hit. 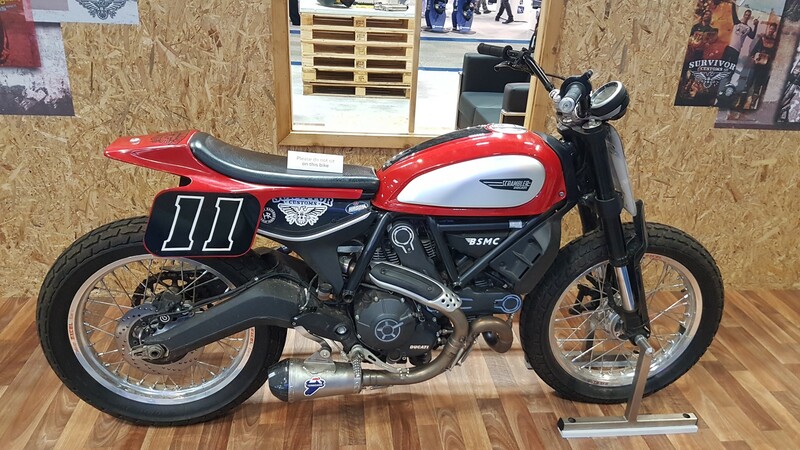 It was advertised as the fastest mass production motorcycle of its time. The UK sold the 1100 until 1984. 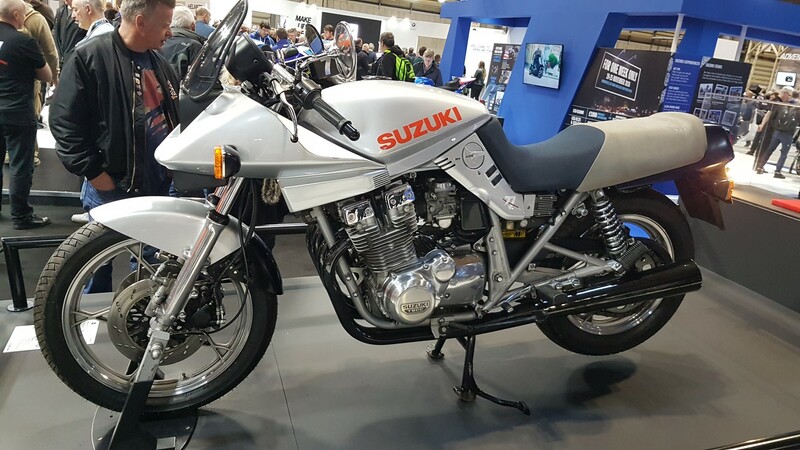 There were other variants of the Katana, from 550cc, 650cc shaft drive and the 750 with pop-up headlight. 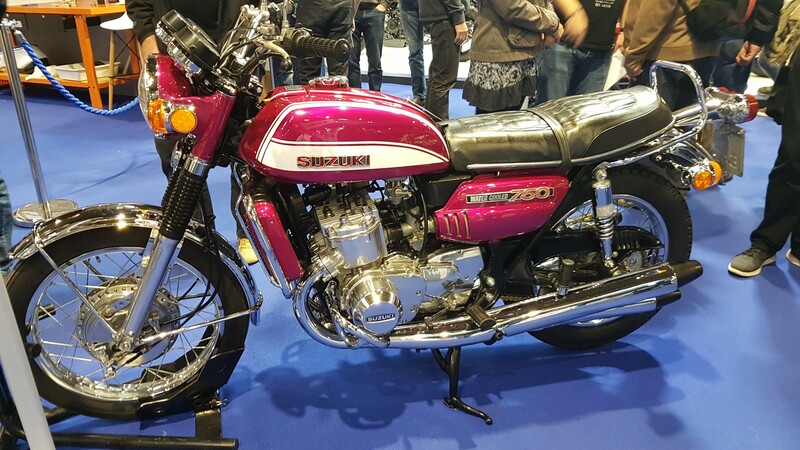 The 1100 was kept in production until 1996 in Japan. 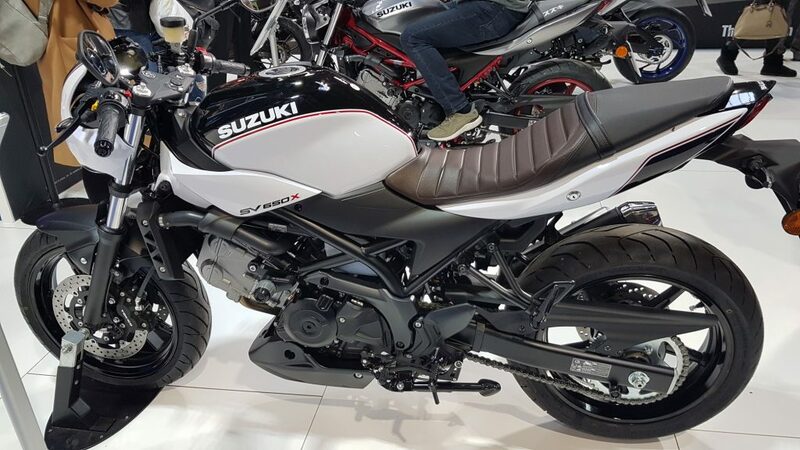 Engine: Air and oil-cooled 1074cc inline-4, DOHC, 16-valves. 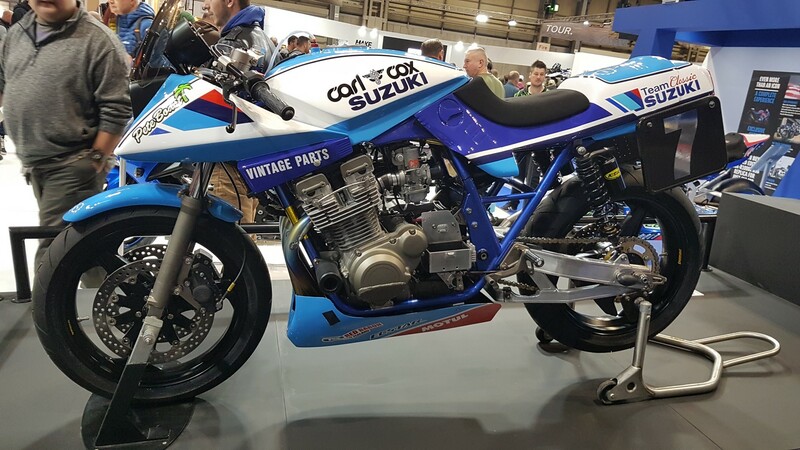 This bike was built at Motorcycle Live in 2016 to race in the Classic Endurance Legends series at Donington Park in 2017. 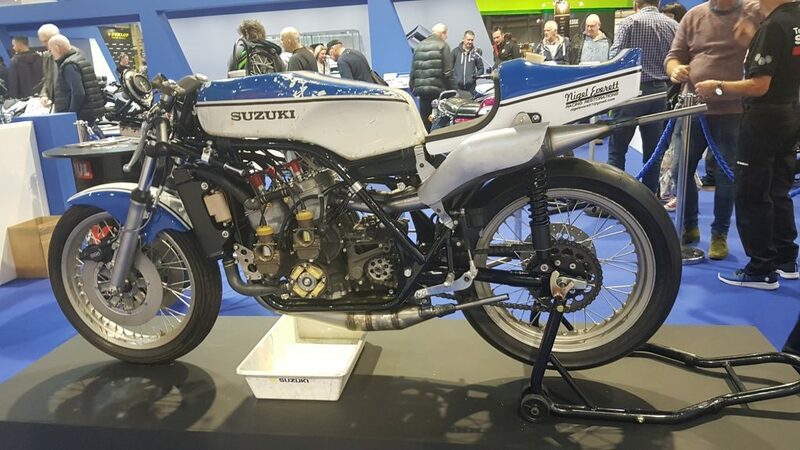 As the Suzuki Vintage Parts Programme were the main sponsors of the event, it was a great opportunity to actually compete in the race. 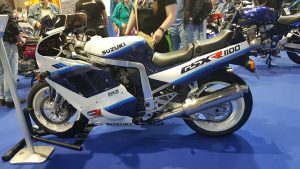 The team was James Whitham, Steve Parrish and Michael Neeves and unfortunately the bike was retired very early in the race! Next outing was at the Spa Classic with Guy Martin and Pete Boast who finished a fantastic 7th in terrible conditions. It was also racer at Aragon with Michael Neeves and Pete Boast and whilst battling for 3rd place and with 2 laps to go (approximately 4 minutes of the 4 hour race), unfortunately Pete fell off at the end of the back straight. 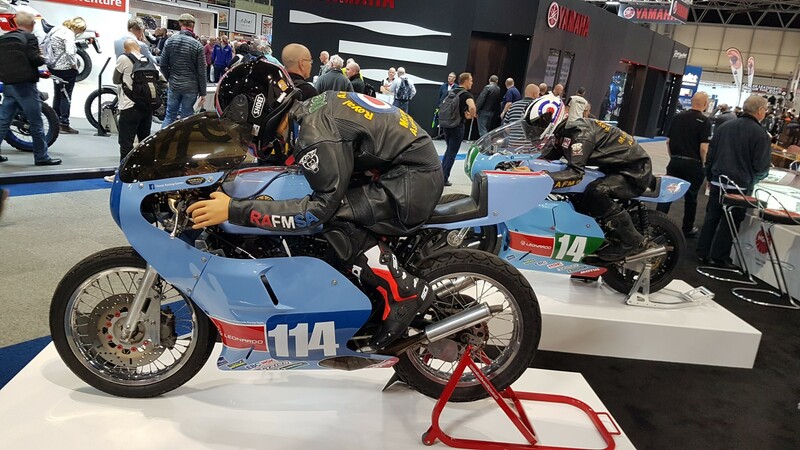 In 2017 the bike made a return to the Classic Endurance Series at Donington Park, this time with John Reynolds standing in for James Whitham and whilst in 2nd place the bike was retired with a technical issue. 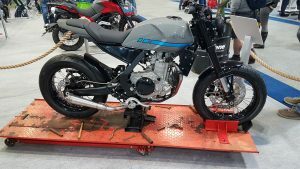 Finally, in July the bike went to Oschersleben with John Reynolds and Pete Boast, in 40-degree of track temperature they brought the bike in first in class and third overall! 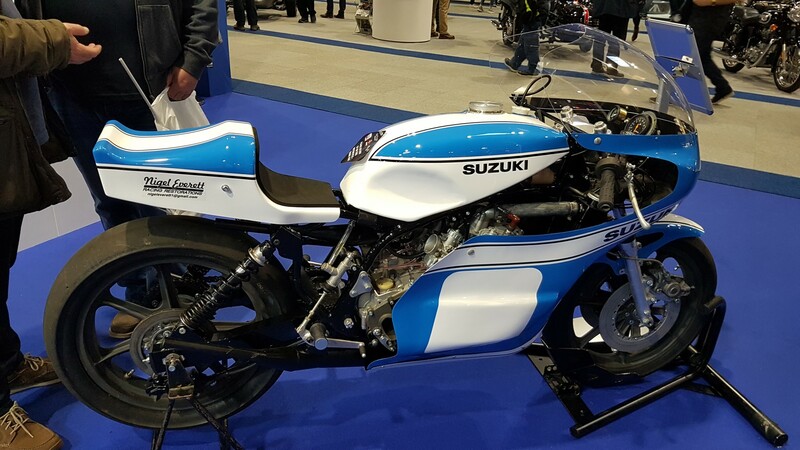 Suzuki were gifted this classic Gixer from Stuart Baker who was a friend of Tim Davies from Suzuki GB. Stuart sadly passed away from a little known disease called Marfan Syndrome. As part of his legacy Suzuki decided to give the bike a full restoration in his memory and we think it is a fitting tribute! The have not been used in 10 years and was left to rot at the bottom of his garden. 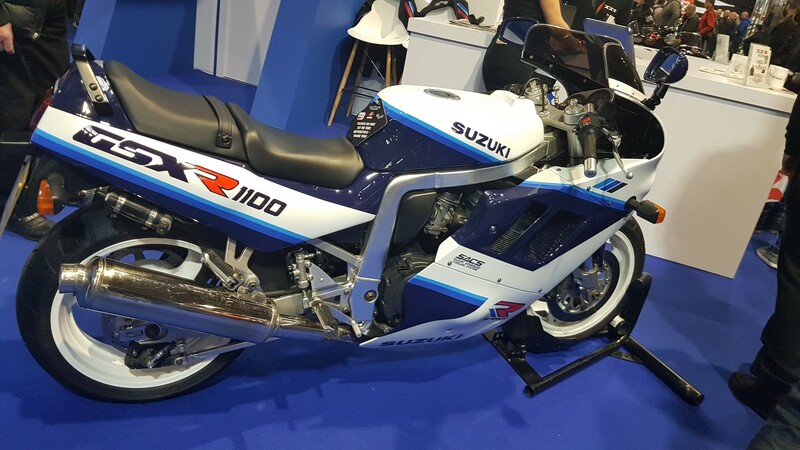 The Suzuki apprentices were let loose on the bike as parts of their training programme. The bike was lovingly restored to its former glory by a team of about 30! 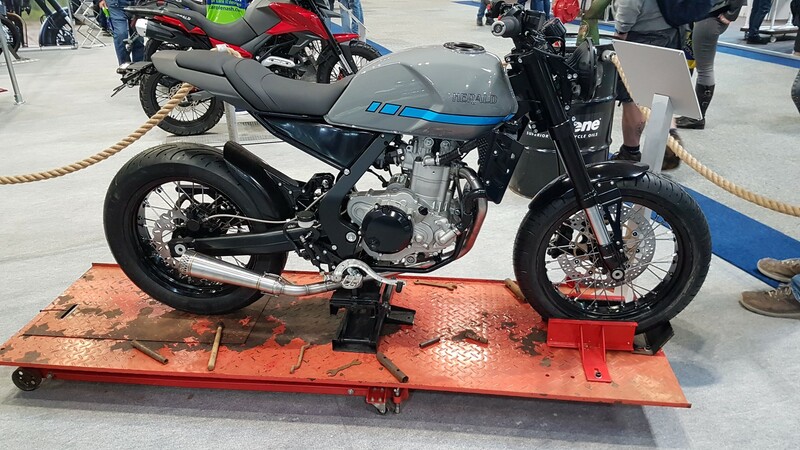 It has proved to an an excellent training tool and given the apprentices invaluable skills to take back to their respective dealerships. All the work carried out on the bike was done outside of their normal curriculum and in their own time. 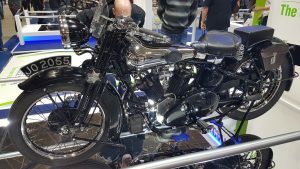 The complete programme was serialised in Classic Motorcycle Mechanics. For more information please visit marfantrust.org. The prototype GT750 was first shown at the 17th Tokyo Motor Show in October 1970 and launched in Japan in September 1971 as a sports tourer, although GT stands for Grant Tourismo. 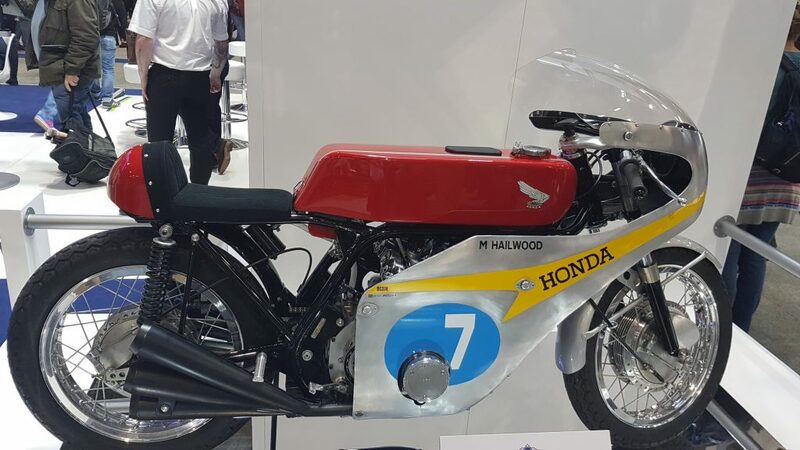 The GT was developed from the T500 with an extra cylinder and water cooling system. 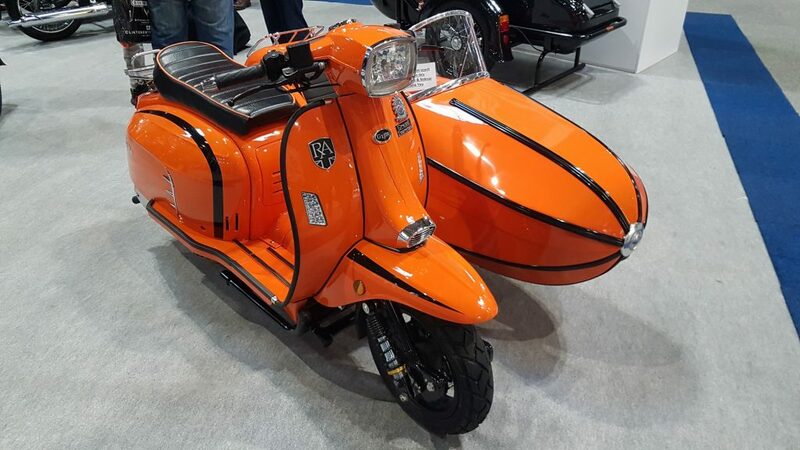 It was originally marketed in America and Canada as Le Mans and was affectionately known as the ‘Water Buffalo’ in America and ‘Kettle’ in the UK. This particular bike had been loaded to Suzuki GB for motorcycle Live 2018 by John Clark. 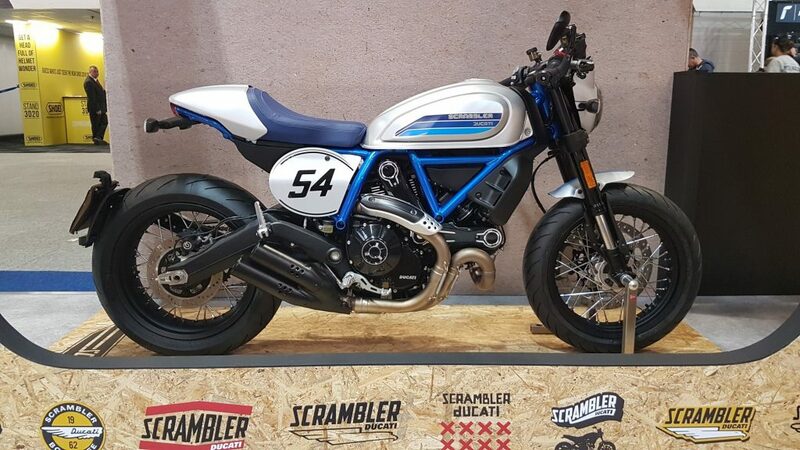 The GT, along with the RGV250 (VJ21) were the first models to be introduced to the Vintage Parts Programme and with over 1200 still available from the factory, it is the best selling vintage parts model, closely followed by the SP50 (A50P). 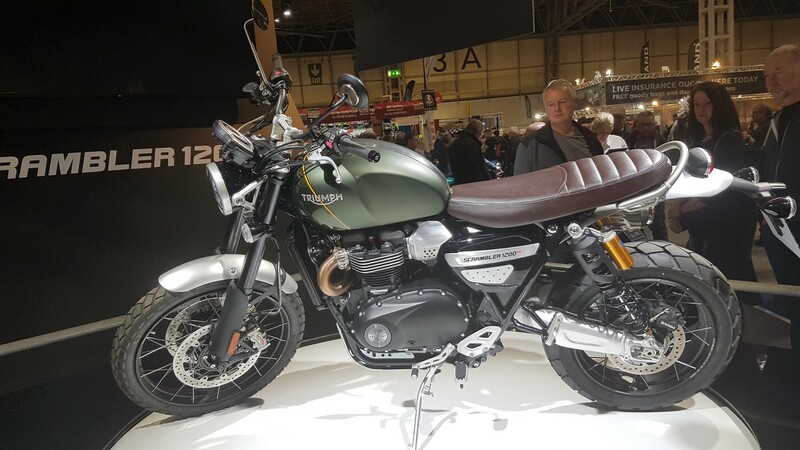 Designed to look like a minature SS100, this OHV 680 has twin crash bars which were a Brough first and inspired by a similar fashion on cars. Twin headlights were also a more expensive addition and indicated a more affluent owner.